Tour of duty began on May 13, 1966. G.W. was the first casualty of the 281st/483rd. G.W. 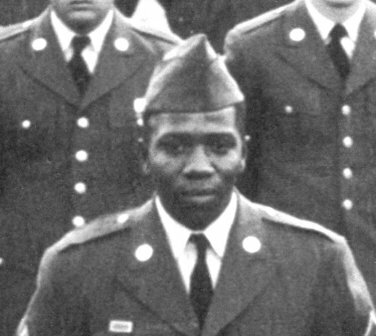 Whitaker was assigned to the 483rd Transportation Detachment as a Teletype Operator (05C20) at the time it was organized at Fort Benning, Georgia. He traveled to Vietnam with the unit and arrived in country on June 9th, 1966. On July 7th, 1966, GW suffered a heart attack and died. PVT Whitaker was a 23 year old of the Protestant faith at the time of his death. GW joined the army on 25 November 1964 and attended basic training at Fort Polk, Louisian. He then attended advance training at Fort Gordon, Georgia and upon graduation he was assigned to Fort Campbell, Kentucky as a Radio Operator. 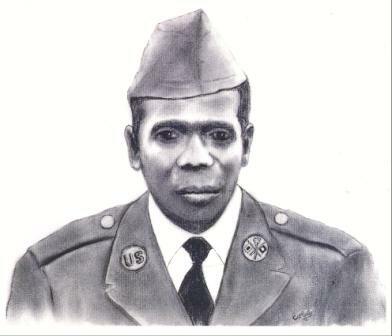 He was transferred to Fort Benning, Georgia and the 483rd Transportation Detachment in January of 1966, where the unit was preparing for shipment to Vietnam. GW was born Lewisville, Arkansas. His family moved to Oakland, California where he attended school, graduating from high school in 1961. His parents were Mr. Giles Whitaker of 507 33rd Street, Oakland, CA and Mrs. Celli Whitaker of the same address.